very citizen has a role to play in supporting and promoting social justice. In Sigalowada Sutta the Buddha enlightens us very clearly on the roles as reciprocal obligations existing between Monarch [ruler] and Subjects, husband and wife; parents and children; teachers and pupils; employer and employee; friends, relatives and neighbours; clergy and laity, without leaving out anybody. The writer is no authority on Buddhism, but the greatness in these values here is, they are considered as sacred duties and are reciprocal. If observed - they cover the entire UN Declaration of Human Rights 1948, pronounced in the charter [Fundamental contributory events in history were condensed into a single cause in drafting the Human Rights Charter]. The Cardinal’s statement on “value of Buddhist teachings’ has provoked anger in some religious fanatics. 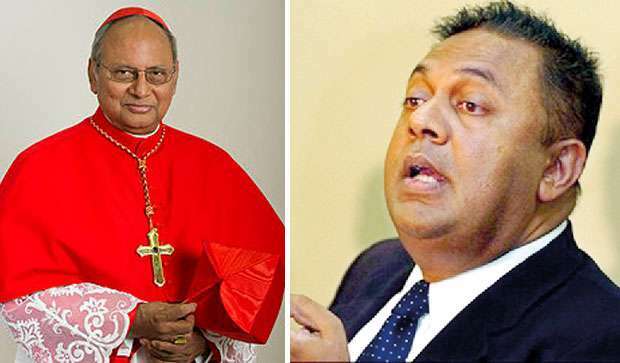 One of them wrote, ‘…the Catholics are becoming defenders of the Buddhist Politicians.’ Minister of Finance and Mass Media, [perhaps a scientific allocation of jobs] has condemned the comments made by Cardinal Malcolm Ranjith. Mangala Samaraweera’s impolite vocabulary and offensive thought he twittered, “The need for human rights was an outcome of the marauding religious zealots of the inquisition and the crusades where non-believers were massacred en bloc. Pity the Cardinal always seems to get things wrong in trying to be a populist.” The human rights lawyers also have criticized the sentiments strongly, accusing the Cardinal of devaluing the importance of HR and being uninformed of its idea. Are all men born equal? In some respects, yes. In several other respects, no one is born equal to any other. Our wrong attitude towards this concept has given rise to all sorts of problems, at social level to the spiritual. Buddha’s numerous preaching on the denial of the caste of the ancient Indian societies, and his stress on the parity of people of all classes before the rule of Karma and, in the end, under the rules of the Dharma support the above. Buddhist assertions of human rights was practiced in India five decades ago when famous Hindu scholar B. R. Ambedkar, after years of struggle for the basic human rights of his clan, was compelled to recognize that there was no purpose in continuing his efforts before he decided to convert some four million Harijans [community traditionally considered so called [“Untouchable”] to Buddhism. Ambedkar had well thought-out switching to Sikhism, but had to admit the fact that only Buddhism and Christianity are free of such discriminatory tenets or practices. Freedom is certainly the spirit of Buddhism, as will be seen. Buddhism cannot be presented as another alternative …ism or a complement to other schools of thought, like – Socialism, democracy, Marxism, communism, neo-liberalism, liberal democracy, or any another political notion or idea that are engaged in the basic struggle for establishment of democracy and human rights. As with the human heart, the concept of human rights demands rinsing out of all the narrow and tribal prejudices out of the mind so as to be able to stop to do evil and to attempt to do good - Buddhism is concerned with this basic problem. Buddha Dhamma says, all men are equal and that they are all subject to the law of nature with no discrimination. The law of Karma is applicable on everyone. To attain perfection, man has to develop himself morally, physically, and intellectually. By this law, it requires that person should be let free. Dharma resolves not just ‘what one is due to do’ but also ‘what is due to one.’ Through X’s performance of his Dharmic duty Y receives that which is his ‘due’. Since Dharma decides the duties of husband and the duties of wife. If the husband has an obligation to support his wife, the wife has a ‘right’ to support from husband. It is the duty of a king (ruler) to bestow justice without bias, then citizens may be said to have a ‘right’ to just and unprejudiced treatment before justice. There are Buddhists who are hesitant to see the dhamma under human rights because the exact comparable to the phrase ‘HR’ in the Western sense is not found in Buddhist literature. The Western notion of human rights confines to humans. In contrast, in Buddhism a human being is a much broader trans-homocentric: In Buddhism human beings are considered as a part of all conscious beings and as a part of entirety, because both human and animal beings are similarly subject to temporariness or impermanence. Can people live by religions alone? According to His Eminence Cardinal Malcolm Ranjith, human rights is a new western religion that came recently, which is meant for those without a religion. Those who believe in religion don’t need to talk about human rights. Cardinal draws the attention of people to the decline of individual qualities in Western nations where atheism replaces religion. He is right that religion is more important for human progress than human rights. But laws are a must to restrain people doing deceitful anti-religious actions or deeds to hurt fellow citizens. 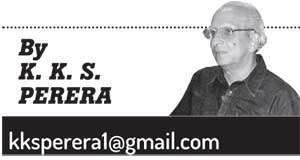 Can people live by religions alone? Human Rights is the latest Religion? The head of the Sri Lanka’s Catholic church says that Human Rights are the latest Religion introduced by the West, some people believe ‘Human Rights, is a Secular Concept’. Human Rights like in religion are about Human beings. Human Rights and Religion are two sides of the same coin, they are very closely related although they seem different. He says, “if we practise religion properly, there is no need to talk about Human rights.” But the Human Rights Law of UN and its Charter of Fundamental Rights and ICJ have provided an efficient and useful service to the human kind, especially by curbing undemocratic actions of rulers and individuals who are not so religious and who wield power on powerless. What is imperative here is to ensure that the western domineering forces are kept at bay from abusing such charters, like HR for their own benefit by attempting to enforce neo-colonial strategies on third world. Religious leaders on the other hand should focus on enlightening their followers and political authority on the importance of respecting the rights of fellow citizens based on respective religious values.